The SECRET Of Becoming A Top Blogger? As you may have noticed, Leo Babauta and I are very much anti hype. So this is an unlikely subject line from us, right? Well, we’re actually so anti hype that we’ve never told you about the secret work that Leo and I are hugely proud of. So, today we’re going to break our silence. A couple of days ago I was on the phone to my son, Sebastian, and read aloud some of the mind-blowing testimonials from members of the A-List Blogger Club that Leo Babauta and I run. I somehow hadn’t considered that an anti-marketing stance can somehow harm others. I mean, if you don’t tell people about something like this, you effectively close off opportunities. It’s worth thinking about, because you too may be withholding something wonderful. just because you hate marketing. The Club has evolved into something more than I’d dared to hope for: a place not only where I can share what I’ve learned with people, where they can continue to grow as bloggers, but where amazing bloggers help build each other up, teach and learn from the group, and evolve faster than I would have thought possible. The Club is the place where some truly brilliant bloggers have come into their own, and are now helping others to do the same. I mean, to keep something like this secret is really crazy, right? We’re opening up entry to the A-List Blogger Club for a few days as a way to say THANK YOU to our loyal Write to Done readers. For the price of a cup of coffee a week, you get a crazy lot of benefits. Hang out with Leo and Mary, and make friends with a group of encouraging and enthusiastic bloggers. Get a info-packed bulletin each month with hot tips, tricks, and insider info that will give you the edge. Accelerate your learning through TWO special training seminars each month. Upskill through access to all past training seminars. Enjoy a monthly online Masterclass where you can ask live questions, as well as chat with fellow students. Watch recorded Masterclasses at your convenience. Get your blog reviewed by Leo or Mary. Watch an inspiring video each month that helps you to grow as a blogger. Share in all the action on the private A-List Blogger Club forum. But what about the members, what do they think? Here’s Barrie Davenport from Live Bold and Bloom says: (Barrie wrote a lovely guest post for Write to Done last week). What a brilliant idea to create a club for all of us newbie bloggers who are hungry for more! Your A List Blogger Club has been a tremendous support, not only because of the amazing and useful info Mary and Leo send, but also because of the connections and exposure it provides to other great bloggers.It is such a supportive community of like-minded people, and it is so fun to have new friends all over the world. I love the monthly webinars with Leo and the regular updates Mary sends to us. Every bit of it is wildly relevant and saves enormous amounts of research time. I can’t thank you enough for creating this club. Can I be a lifetime member?? I really enjoy being a member of the A-List Blogger Club, not only for all its useful information and world class coaching, but also for the unbelievable camaraderie amongst the club members and the international connections I have made. I have made new friends around the world and it feels like we are sharing an amazing journey together – not just with our blogs, but in our own personal development as well. If you’re keen to join us, but haven’t got a blog up and running yet, don’t worry – we’ll help get started. And if you’re already an experienced blogger, well, the A-List Blogger Club is where we breed the best bloggers of tomorrow. This special subscription offer ends at midnight on Thursday, 15 April. If you’d like jump on board with us or want to know more, click here. Hey, friends – if you would tweet this post, put in on Facebook, or email it to friends, Leo and I would be delighted. Just click on the bar you can see above . Are you opening the blogger club soon? How much does the subscription cost? Guess I missed it too… Put me on a list if you would – I’ll join next time it opens. Thanks much. Cheers! Ahhhh, just missed the window for registering. Darn it! This definitely sounds like something I’d be interested it–and $20 a month, cancel anytime, is right up my alley too. If it had been opened, I’d so be there. My blog is not my top priority, but perhaps with a little framework development, it can get better. So, I just subscribed last night and I am overwhelmed by all of the blogging information. I am a brand spankin new blogger with no experience. Any thoughts on what to do next? Thank you!!!! Sounds like a nice packaged offer. I’m looking mainly for writing coaching more than blog coaching. I’ve always thought I was a good writer, yet think of myself as more of a technical writer. I know the mechanics and grammar of writing, but want to improve my content. I’m not ready to promote my blog until I have great content. Is the mentoring you mentioned include coaching for the writing process (stuck points, enhancing creativity and personal touch))? If not, do you know a great writing coach? Hmm… of course the heart of blogging is writing. And the person I’ve learned most off is Leo Babauta. He’s always on to everyone about creating great content. And teaches how to do it. I don’t think it’s any use at all promoting a blog that hasn’t got great content. Doesn’t work. The A-List Blogger Club may not be exactly what you’re looking for. It doesn’t only focus on the process of writing. But creating great content is definitely at the heart of it. 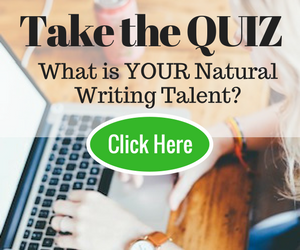 Maybe working with a writing coach one-to-one would suite you better? I just have two more questions…how are the bootcamps and training seminars conducted? I do a fair amount of traveling and might not always be in a place where I can participate if they are online. Are they archived for access at a later time? Does the $20 per month fee cover everything or are there additional fees for some of the other features of the club? Hi Cheryl – the $20 covers everything. There are no hidden costs. As to delivery: everything is archived and can be accessed at any time. All the live Masterclasses are recorded so that people can watch them at their leisure. Could you name at least one blogger who became successful and is a member of your club? Jeffrey Tang’s blog was named one of the “Four Best Inspiring Blogs Every Life Hacker Should Subscribe To” by “Make Use of” which is a hugely influential blog with over 198,000 subscribers. And the lineup in which Jeffrey found himself was awesome: Zen Habits, Tim Ferris blog, and Henrik Edberg’s – The Positivity Blog. Now, the interesting thing is that Jeffrey came to us with quite a smallish blog. But he’s now got over 2300 subscribers and is well on the way to become a career blogger. Another one is Arvind Devalia with his blog, Make it Happen His blog was named blog of the week by Apture by his fantastic post on Gandhi: His blog was also quite small when he came to us. Now he’s got over 1250 subscribers and is well on his way to becoming a career blogger. Not to forget Steve Aichison with his blog Change Your Mind He’s a brilliant blogger with more than 8,400 subscribers. I have recently started a blog which I post in Chinese Language. I am new in blogging and would like to sign up for your mentoring membership, I am just worring about if my blogging language creates some inconveniences to the mentors (like during blog reviews or other things ) ? We do have some bloggers in the Club whose language isn’t English. I think that there are many things one can say about review in a blog, even if one doesn’t understand the language. For example, design, usability, style, branding, and so on. I think it can work, Steve. Hey Mary and Leo! I just signed for the membership, and so far it’s looking great. Lots of content-rich resources inside. I look forward to taking quality time out to read them and to digest the information word for word. I look forward to the Leo’s upcoming class on Apr 19! By the way, how can I get my blog submitted for review? I was looking around in the member area but didn’t see such an option. Anyone who took the first blogging Master Seminar learned an enormous amount. Don’t be scared of the people who look very professional. So much of what you see was learned here. I am one of the people who took the first blogging master seminar – and look where my blog is now. But it wasn’t like that at all, 9 months ago. I would urge everyone to join up and make the most of this opportunity. Aside from that, there seems to be some really fantastic and valuable content on the site! I’m going through gobbling up articles. Although I’m sure the real results will come when I slow down, go back through, reread them, and actually implement what I learn. That’s good to hear, Chloe. Guess I’ll sign up, too. Hey, it’s great to have you on board, Chloe! Nice sales pitch, but not exactly the “secret” to becoming a top blogger. There isn’t a ‘secret’ to becoming a top blogger. That’s the whole point. But there are degrees of deep knowledge. Ha, ha – the reason their blogs look so professional is because they have some intense coaching. My blog Goodlife ZEN started out looking like sh*t. It had a theme right out of the WordPress box and I had no clue how to run a blog, how to make it look right or how to write a blog post. I think that’s true of all bloggers – there are no instant experts. You should have seen what the blogs you admire looked like when they first came to us…! So, no worries – this is a learning environment where everyone is welcome! I have a personal blog that’s a lot of fun to do but I’d love to either start another as a source of a little extra income or somehow turn this into a bit of a money maker. I already have a million questions and am going to look at the links you’ve provided for some of your A-List members. This sounds perfect. I must admit, I’d enjoy this post more if it didn’t have “shoosh babe” staring at me while I tried to read.